Yeah … freaky. I found this link somewhere and had to try it. Cat will be FURIOUS if she finds out I showed you. I mean I think she was okay with the little beasties but … um … what’s with the eyes. Okay, enough of that. THIS is her madness. It’s like she has a gambling addiction or something. She’s determined to get a ring with “of the Decimator” on it. I’m not sure why, her clothes are fine for what she does but I guess it’s become a thing for her. She’s determined to beat out RNG. We all know how that will turn out. 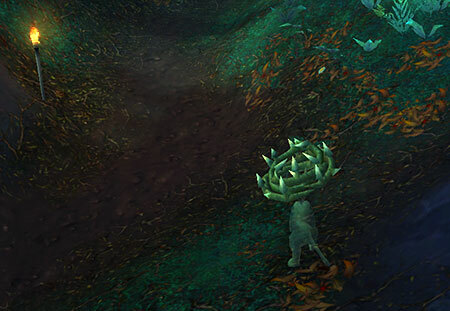 I want to save the Apexis Crystals up for the Reins of the Corrupted Dreadwing but no, every time Cat gets 5,000 crystals she buys another ring and then has to vendor it for around 6 gold. Crazy, just crazy. I’m experiencing alt fatigue. This has never happened before but I think it’s because they’re all wearing homemade clothes. Getting three pieces six levels for Cat has worn me out. Maybe if I just make them wear whatever they find laying around it will go away. I have nightmares about the 180 Felblight it took for the last level. I can’t take it. 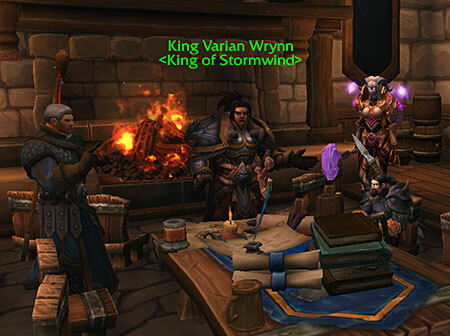 On the bright side, where did that second mailbox come from in the Garrison? Please tell me it wasn’t there all along. It’s wonderful! My imaginary legs were so tired of running back and forth to my Town Hall. I can’t believe how pleased a mailbox made me. And who doesn’t like a cat on their lap. Summon pet, target them and then /sit. Cat-on-the-lap! Except Cat you’re kinda squishing the poor kitty, move your elbow you’re squashing his head! I also love how any progress you’ve made on bonus objectives is saved and still there whenever you come back. It’s so nice to turn up somewhere and find you’re already 50% done so all in all I guess the bright side balances out the alt fatigue. I guess that’s it … what? Oh alright, I admit it. I put the picture of Cat in the Chestguard of the Vigilant Eyes up as payback for spending all our Apexis Crystals. I know, I know. Sorry Cat … snicker. I really, REALLY wish I could focus. 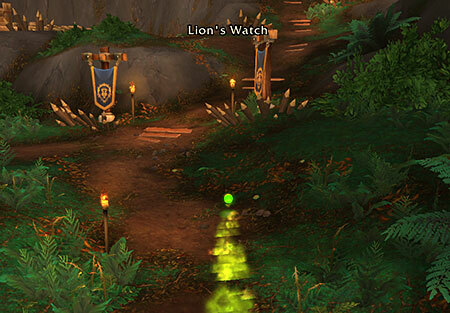 I sent Cat to Tanaan this morning and without thinking, used my Master Hunter’s Seeking Crystal to visit a rare. I knew I had Jungle Stalker done but forgot that I reached exalted with both the Order of the Awakened and The Hand of the Prophet the evening before. It seems Jungle Stalker completion and exalted with the Order of the Awakened is what will trigger the possible appearance of Xemirkol when using the crystal. With fifteen minutes to server restart I was staring Xemirkol in the face. Oops. First time he punted me to the next county, second time just a nice ordinary death. Yeah, this is the first title that Cat was really excited about but alone it looks like we might have to wait for the Warlock. At Cat’s (see how I blame it on Cat) level of skill Demidos solo is challenging. 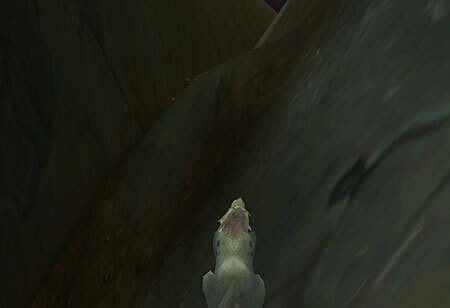 Oh well, at least I learned how to get back up there and retrieve my body. I started up to the Throne to see if I could find a Kazzak group when someone in chat said Xemirkol was up. OH! OH! Pick me! Pick me! They kindly did. We waited for everyone’s crystal to be active and off we went. I don’t think I’ve ever derped that bad and let me tell you I can derp. I was shaking so bad and flailing around. I must have hit him at least once I hope. I was so worried about being kicked to next Tuesday I would kind of run by him hoping to get a smack in. I thought he had some kind of slowing spell although I didn’t remember reading about anything like that … hmm … OMG. I found that while thrashing around I had somehow hit the walk/run toggle key. Nope, no fancy spell … just me. 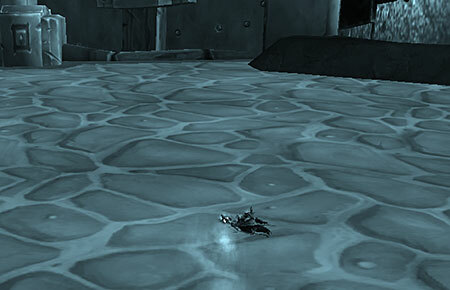 In spite of Cat’s general lack of helpfulness, Xemirkol was downed. And talk about lack of focus, it was only then that I realized our tank had been Askevar of You Yank It, You Tank It. Big thanks to Bigfangs too for that invite! Cat sends hugs and kisses! She has always wanted to be a big scary kitty prowling the jungle and now she can. RAWR! All fear the Cat! Yeah, I’m going to play along and humor her just this once. My Kingdom for a … Dorg? There are days that are just … I don’t know … buggy. I have not been stuck since BC and that was kinda fun as a real live GM role played the whole getting me out thing. Wow, things sure have changed. Anyway, Cat got stuck. 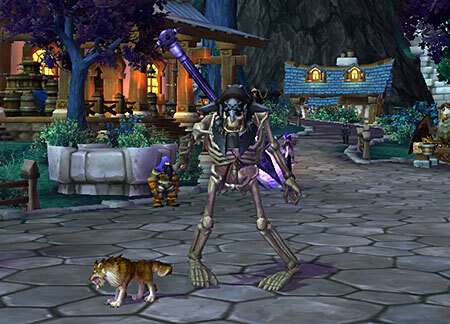 After Cat finished up her dailies, off went the Warlock … who got stuck … sigh. Maybe it’s a sign that I should be doing laundry. Nah, we’ll be okay. CAT! NO! The trap! Lookout! Jeez, that’s the eleventy billionth time Cat, those are TRAPS, try to stay out of them. Cat had only Dorg the Bloody left to finish Jungle Stalker, he’s quite elusive. She thought maybe over the weekend there’d be enough people around to kill all his homies and get him to appear. YES! Lots of people doing lots of killing, this will be the day! Come out you big chicken! DORG! I’m in your hollow, killing your people! Bak! Bak! Bak! What’s the matter? Are you afraid of a little kitty? OH! There it is! He’s going to spawn now. YES! Cat’s waited so long … where the hell is he? Anyone? Anyone see him? Anywhere? Yep, I should have done laundry. 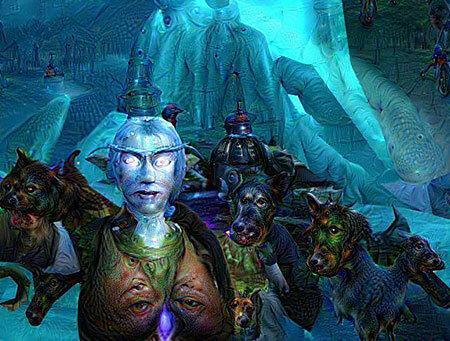 No one saw a sign of Dorg. Aw Cat, I’m sorry. Why don’t you go work on your Saberstalker rep then. You’re kind of behind on that. 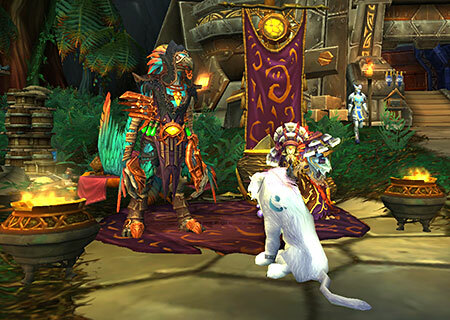 Cat always means to join a group for Saberstalker hunting but never quite does. She has an unusual method. I’m not sure if it’s on the up and up either. She just checks to see if Krell the Serene is up repeatedly through the day. 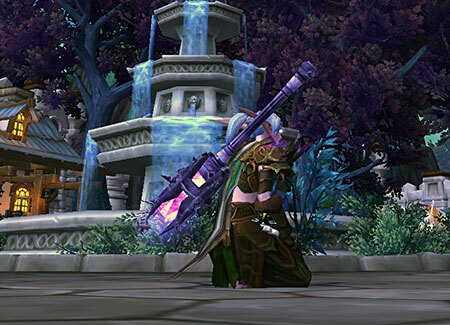 Something only drops the first kill but she continues to receive 600 rep for each kill after the first. Kinda lazy if you ask me, but hey, whatever works for you Cat. Early this morning she took Zeth’gol for the apexis daily. She went up there and I left her to do garrisons with the alts. When I logged back in she was surrounded by people. I couldn’t decide if they were early risers on the east coast realm or people still up on the west coast realm. Might as well get the daily out of the way then. WHAT! Dorg is arising? For real this time? No way! Yes way! Cat’s very pleased and I learned a lesson … kinda. Any day you login and get immediately stuck twice is a laundry day. What? Will I do it? Nope, I doubt it, I never listen to my own advice. 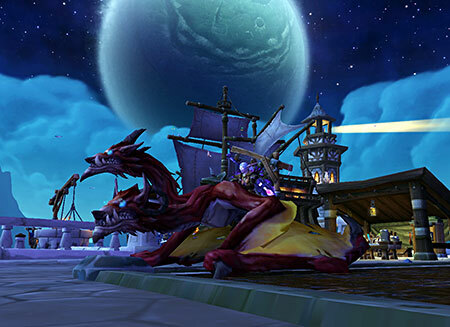 The good was Cat the overachiever got Draenor Pathfinder out of the way pretty quick. Thank goodness for Cat as if we depended on the Warlock we’d never get anywhere. After Cat got that out of the way Cim the Warlock hit Tanaan and that’s where it got dicey. I had NO IDEA Cim would be interested in Naval Missions but obtaining ship blueprints has become very competitive between the two of them. Yeah, Cat loved the Ghostly Iron Buccaneer’s Hat when she first got it, now … not so much. She could open a nautical hat store with all the hats he’s coughed up. The BLUEPRINT Ironbeard! The blueprint! I’ll leave you alone if you just give it to me! Okay, this one’s kinda good and bad. I love this thing, Skull of the Mad Chief. I think it’s misnamed though, it should be called “The Only Chance You Have of Getting to Doomroller if you Hear the Shout While Sitting in your Base.” I know, probably too long to catch on. Even with it Doomroller’s dead 50% of the time when I get there. Master Hunter’s Seeking Crystal, something else I love. Since Cat didn’t stop to think of the consequences of running all over the place and finding all the treasures she’s stuck with rares. Now with the crystal it’s not so much of a problem. Beam me up, Scotty! Really, really bad stuff and it’s all my fault. All this opening of boxes and selling stuff right and left was good … if you’re paying attention. 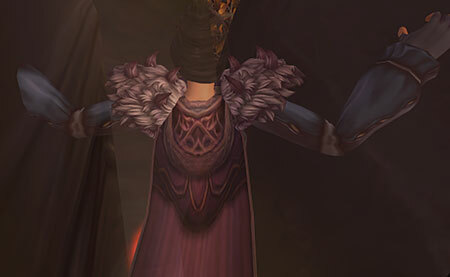 While readying Cim to leave for Tanaan I realized that at some point I got carried away. I’d apparently sold her offhand. I tried item restore but it must have been a really long time ago. I checked around and yep, Shaman had no offhand. Did it to her too. All this shuffling salvage crates was apparently too much for me and they suffered for it. Poor guys. The bad. 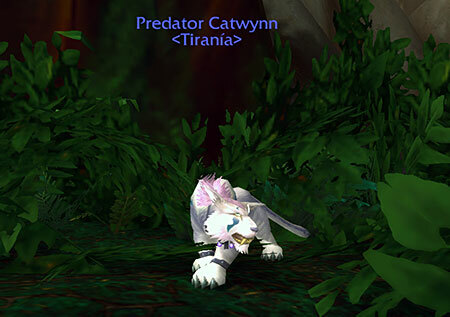 Okay, Cat and Cim had no problem in Tanaan. They were both around iLevel 670’s or so when they arrived. The next to ship out will be the Hunter, she’s at 659 but she should be okay because … Hunter. The rest? It will be a massacre. The alts go in order of what little skill I have with the class. Some of them are still in 630’s gear. This is going to be a bloodbath. So yeah, there’s my unskilled Death Knight sitting there with the big shots and he might be sitting there a looooooong time along with the Shaman, Monk and Rogue. Oddly I think the Rogue has the best shot of the lot of them. I’m having fun in 6.2 in spite of the fact I have NEVER fished so much in my WoW life. I have both Cat and Cim find a group for Kazzak as soon as maintenance is over, VERY important. Must steal his Felbight. It’s like a whole day of fishing’s worth. Welp it’s a new day, time to see if Ironbeard has had a change of heart … he has! Ironbeard is now guaranteed to drop the Ghostly Spyglass Blueprint that is said to counter a Cursed Crew.